When I was younger, I spent a great deal of time with my grandparents and saw how much they respected their own physician—that inspired me. Add in my interest in science and a few medical shows from the 1970s, like M.A.S.H. and Emergency, and I was sold on becoming a doctor. After getting my bachelor’s degree in history and science from Harvard in 1991, I came to medical school at Ohio State. I’ve spent some of the best years of my adult life at Ohio State and in Columbus, with my wife, Lisa Wilkins Doran, and our three kids. 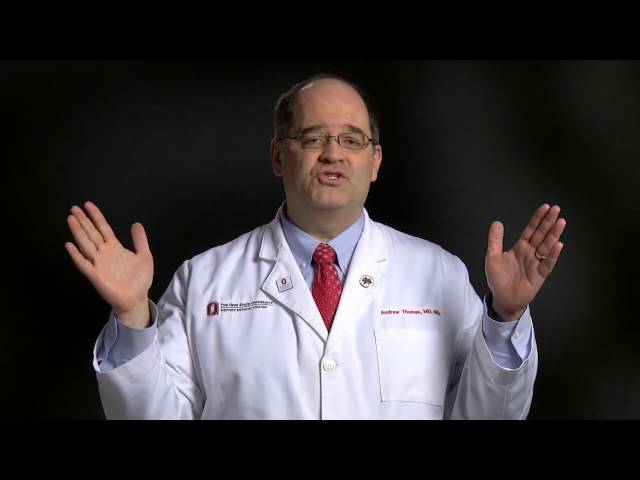 As Chief Medical Officer (CMO) for The Ohio State University Wexner Medical Center, my role includes oversight of inpatient, outpatient and Emergency Department services at our five hospitals, outpatient clinics and specialized care facilities. Some of my key responsibilities include facilitating care between our specialties and coordinating collaboration between departments; guiding organizational strategy and representing physicians around the business table; enforcing rules when necessary and—perhaps my favorite part of the job—mentoring students, residents and younger physicians. In addition, even after moving into an administrative role, I’ve always maintained my connection to patient care and still see patients a couple times a week. It is a crucial part of not only my own personal job satisfaction, but my role as CMO. It’s what keeps me focused on helping everyone at Ohio State deliver the best possible care and allows me to see the impact of organizational decisions. All good. Patient, good listener. Nearly 20 years of familiarity with my health conditions. I trust Dr. Thomas 100%. 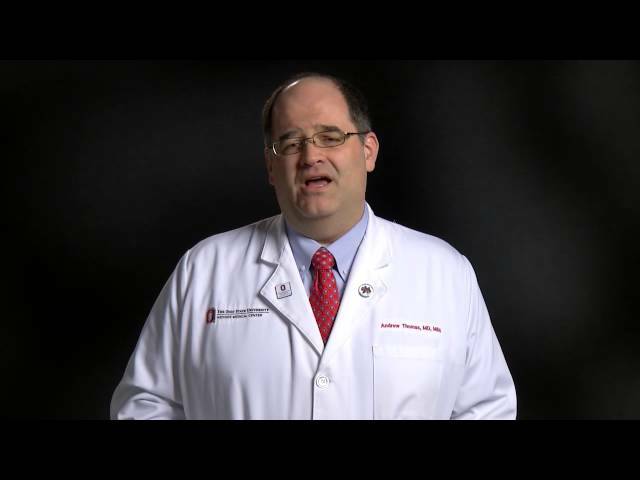 Dr. Thomas has been a great doctor, friend and advisor for over 15 years. I trust him implicitly. As of 12/20/2018, Dr. Thomas has reported relationships with the companies or entities listed below. If you have questions about the relationships listed below, please ask the faculty member. If you have questions about how these relationships are monitored by The Ohio State University Wexner Medical Center, please contact our Compliance Office.